We have moving solutions for relocating households and companies anywhere in North America. Our company has all the international expertise you need and can help with advice on customs and brokerage issues, and all the documentation which will be required by various state, federal and border officials. The farther a move must take place, the more difficult it becomes to time the delivery perfectly, particularly when international borders are involved. Luckily, with our enormous climate-controlled and pest-protected storage facilities, we can keep your possessions safe until all the timing issues can be dealt with to your complete satisfaction. 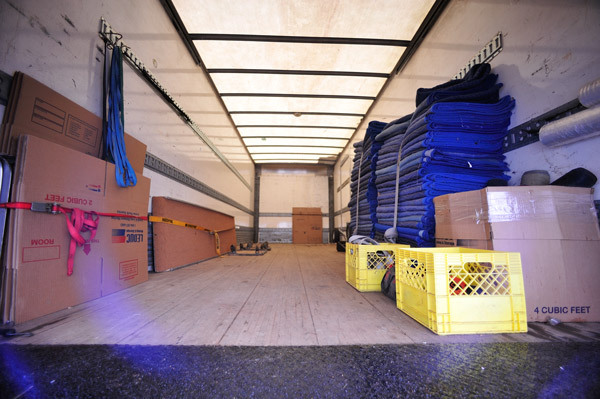 Leduc Moving & Storage is Canada's largest independent mover and are not affiliated with any other moving companies. This means continuity of staff, no connecting carrier complications, and the security of your possessions never being outsourced to a third party. The driver you become comfortable and familiar with during the loading phase will likely be the same familiar driver taking care of unloading into your new house in your new country.